The RF-17W-461-28 is a rugged 7U tall rackmount military display engineered for operation in harsh conditions of temperature, shock, vibration and other environmental hazards. 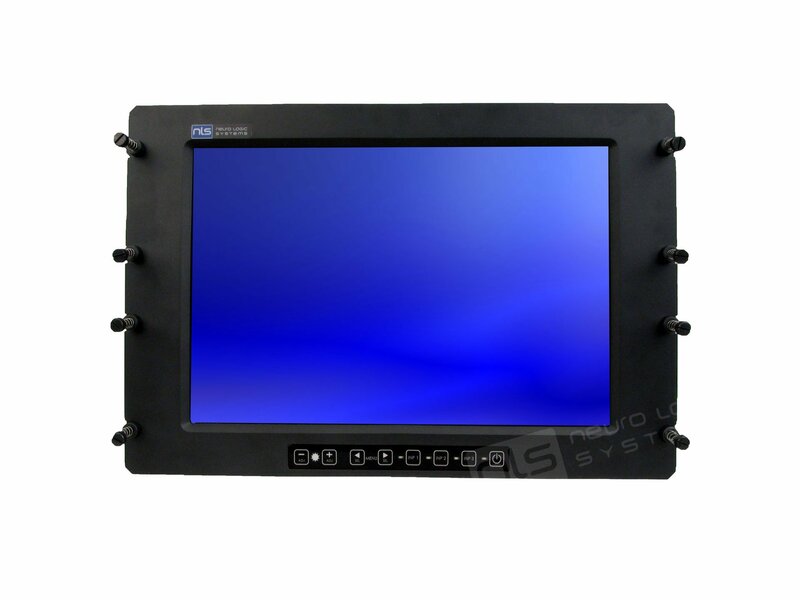 The industrial grade 17.0” LCD panel with 1920x1200 WUXGA resolution provides reliable operation from -25C to +80C. The optically bonded front glass AR/EMI filter, together with a luminance of 700 cd/m2 ensures good readability even in bright outdoor conditions. The front bezel is environmentally sealed for dust and water to IP65 standards. The RF-17W-461-28 features ARGB VGA, DVI, HDMI, Display Port and 3G SDI video inputs to cover an extensive range of mission requirements. The DC power supply accepts 18-36VDC input with spike and surge protection to MIL-STD-1275 and-704 standards.